The International Six Days Trials (ISDT) is often called “the Olympics of Motorcycling.” Since 1913, the event has been a supreme test of man and machine, in which riders must traverse upwards of 1250 miles while doing their own repairs and adhering to strict time allowances and rules. Steve McQueen and Bud Ekins famously competed in the 1964 ISDT in East Germany, and the event, now known as the International Six Days Enduro (ISDE), is still going strong. 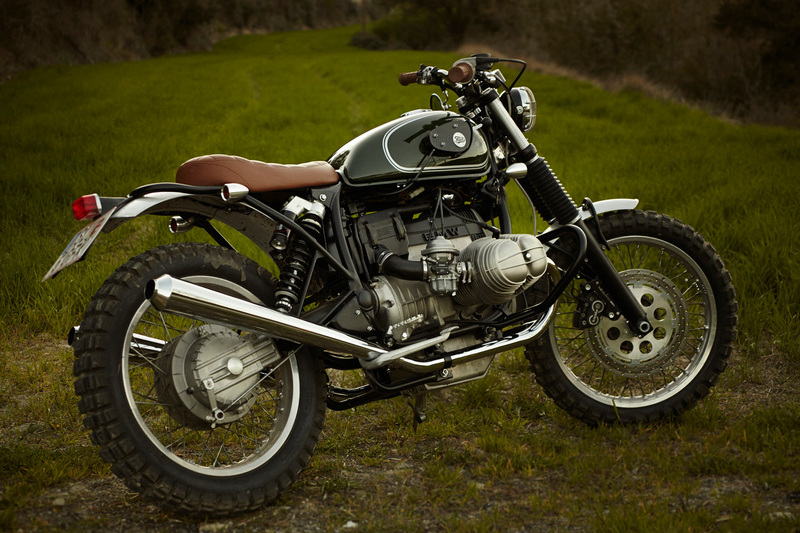 The base bike is a 1984 BMW R80ST — a more street-oriented version of the legendary R80GS adventure bike, with a smaller 19-inch wheel, lower suspension, and the same bulletproof 50-hp engine. 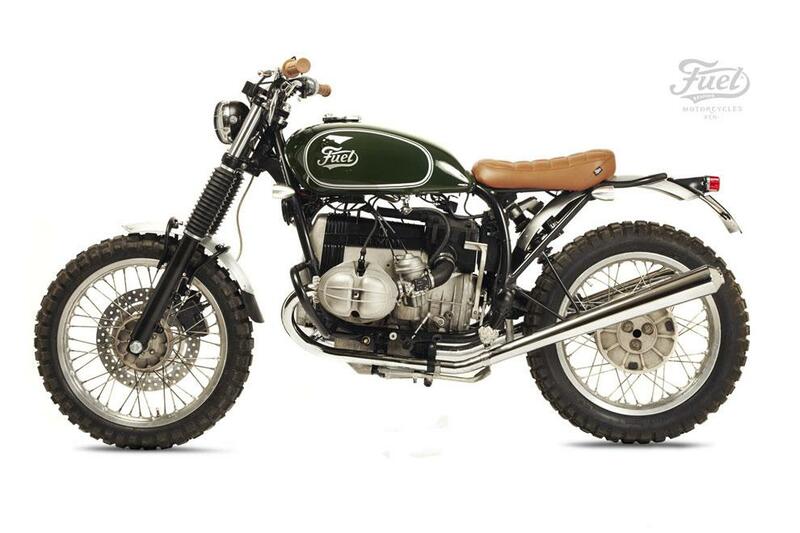 The Fuel crew touched most aspects of the bike to create the stunning BMW R80 “STrial” you see here. Bonus points for the repurposed Ural suicide shift linkage and Kawasaki tank! 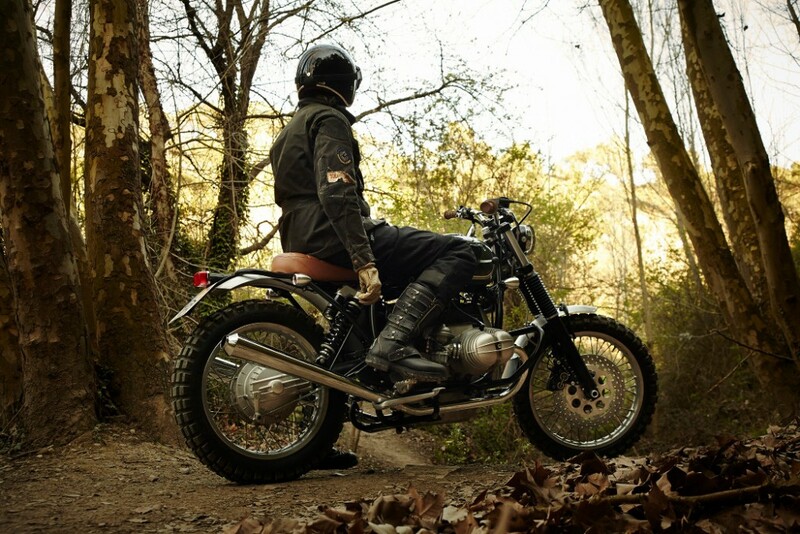 Fuel Motorcycles started back in 2012. 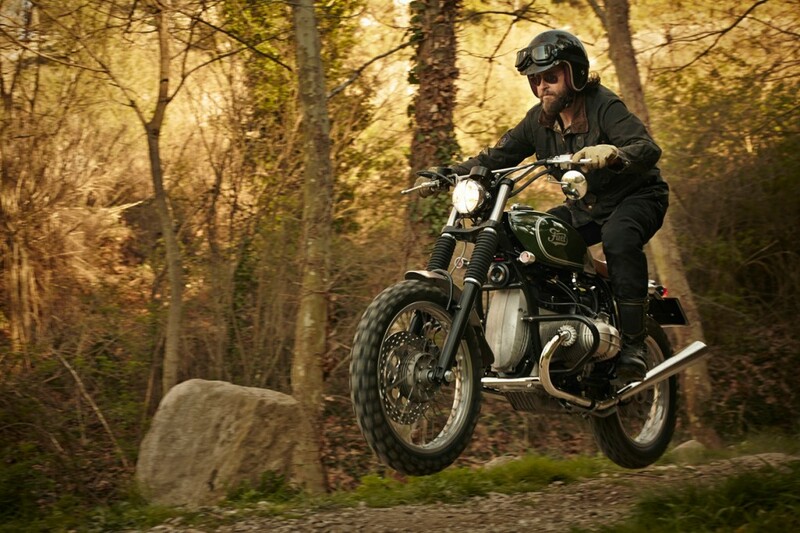 Lots of motorcycles has been done in our workshop, transforming dreams into sketches and then making them real! 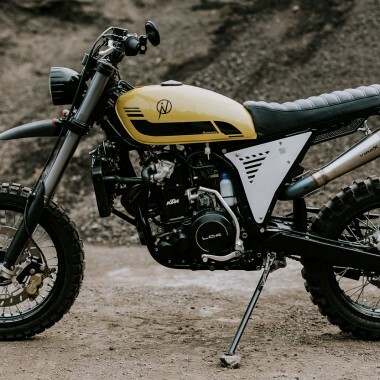 We started to make our own motorcycles to go to the Scram Africa and then we started to build other ones because people got interested in what we made. 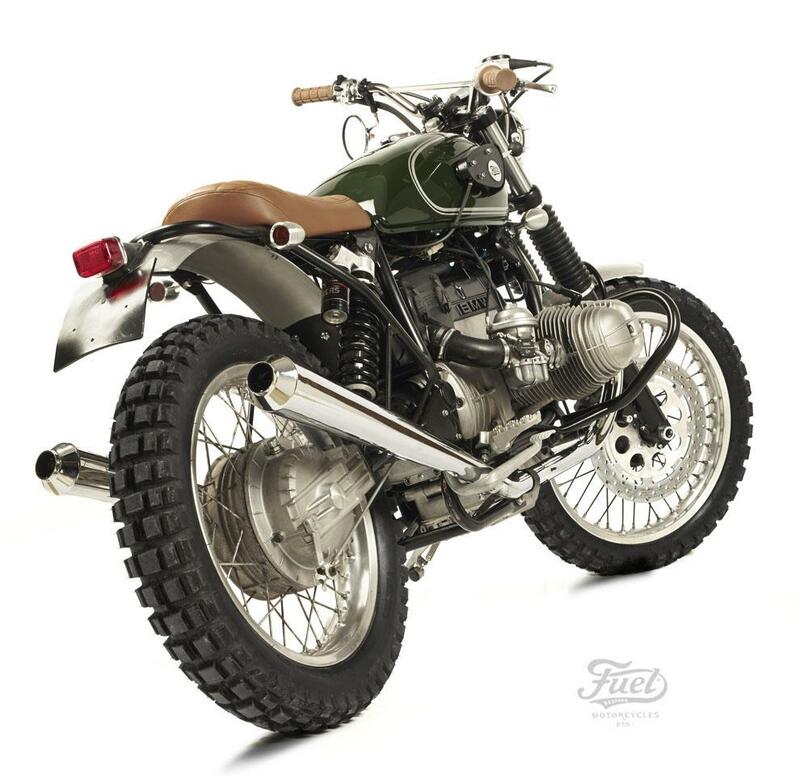 Fuel R80 STrial: Based on a BMW R80 ST from 1984. 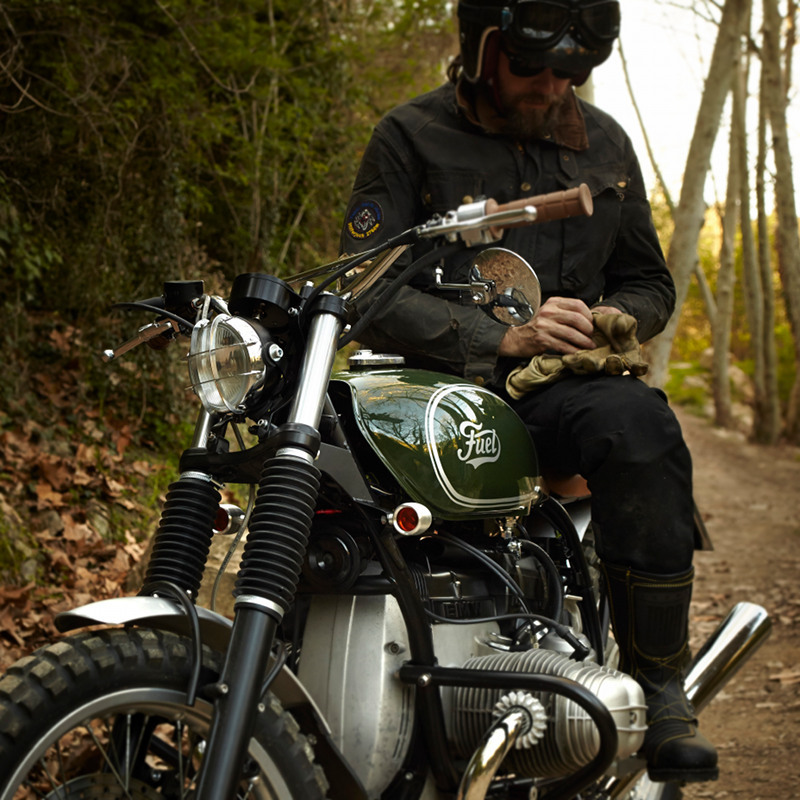 In this bike, commissioned by a classic bike enthusiast living in the Austrian Alps, we have been working not only on the aesthetics but also to improve its performance. 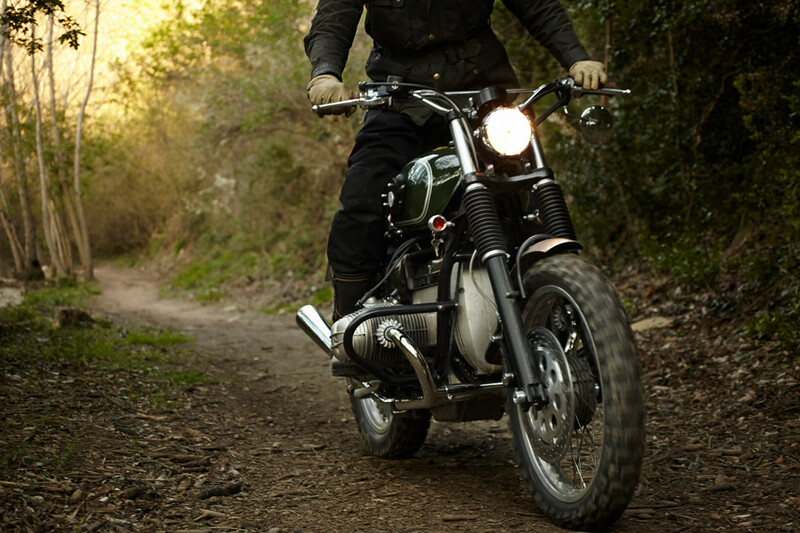 A motorcycle inspired by bikes like Triumph, BSA, and Penton of the 60’s that used to ride in the International Six Days Trials (ISDT). 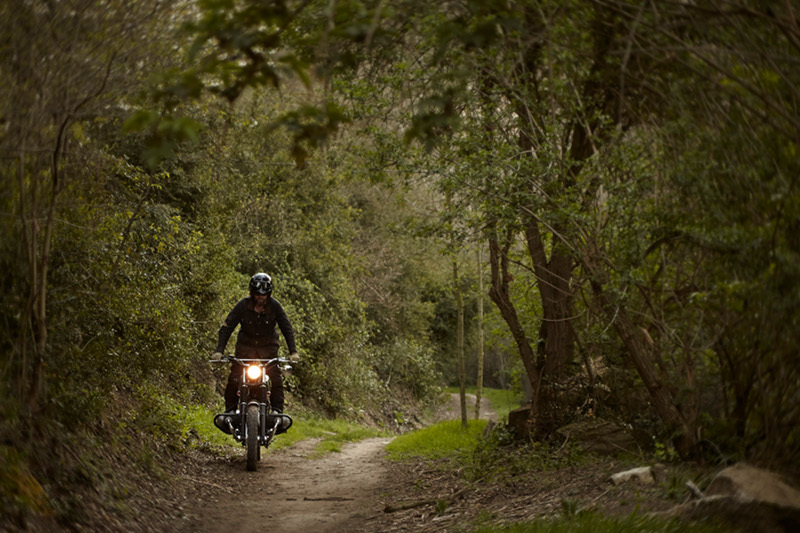 Light bikes with small headlights, flat handlebars, minimalist seat, and off road tires — motorcycles that were capable of riding trails and woods for days. 320mm oversize disc, a 4-piston caliper Brembo and Nissin master cylinder. The entire front disc and displacer caliper has been designed by Fuel and built by a specialist. 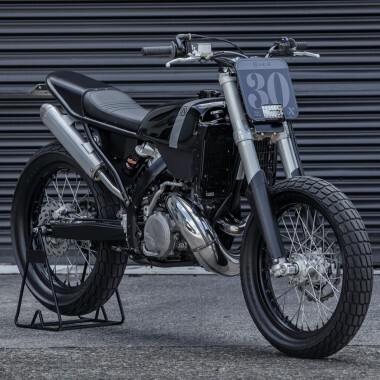 We have also worked on the exhaust and collectors for a set of 2 plus 2 exhaust manifolds (originally the R80 carries a 2 collectors with a single exhaust) and also varying the angle of the mufflers to take higher and improve their height the ground. On one side of the Kawasaki tank we have incorporated a gearshift from an old Ural (suicide shift) and thanks to an ingeniously simple mechanism, it acts on the choke. 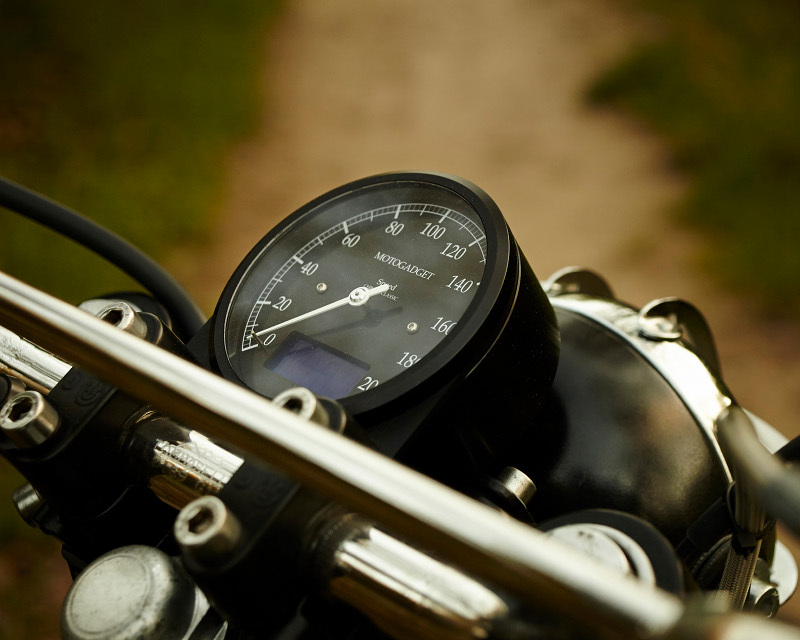 When you push down the handle the choke gets open — a “divertimento” which, aesthetically, gives personality to the bike.